Once upon a time, not so very long ago, the UK’s regional airports used to market themselves as being havens of calm efficiency; worlds away from the frenetic hustle of the major hubs, and the intelligent start-point for all your air travel needs. Indeed, if a certain brewer had designed the perfect terminal, it would probably have come up with Newcastle Airport in roughly its 1994 incarnation. The new Metro light rail link had recently opened, the councourses had been extended and British Airways would gladly launch you in the direction of Heathrow and more than half a dozen other destinations. The Princess Royal cut a ribbon and passenger numbers rocketed. Roll forward 15 years and the Metro goes from strength to strength, not least because it’s easy to spend more on parking at the airport than flying from it. Not that a cab or even a familial lift are convenient alternatives either, as vehicular traffic has been pushed further and further from the terminal building in light of real or perceived security concerns. Inside, directly-employed check-in staff have given way to multi-tasking, third-party contractors who know less about the airlines’ policies that the passengers do, and who rarely lift their eyes above their desks lest they be forced to make eye-contact with their already-weary customers. No wonder so many of them have been replaced by serried-ranks of boarding pass-spitting daleks, whose only purpose is to validate, validate. A lucky few, travelling with hand baggage only and clutching a home-printed boarding pass, might be able to by-pass the automatons of the ground floor, human or robot, and proceed straight to security above. If they happen to posess a shiny card for one or two of the airport’s visiting airlines, or if they’ve paid a supplement (that’s probably cost more than the road tax on the car for the days that it will languish far from the highway) on top of the standard car park tariff, then they may even be able to take the outside lane of ‘Fast Track’ towards the scanners and arches ahead. It won’t much matter if they do, though, still less if said passenger happens to have dropped thousands of pounds instead for a First or Business Class ticket which begins with a domestic or short haul flight from Newcastle. No, the shiny card holder will find themselves embarrassingly obliged to push in at the front of the snaking queue which the luck-free, cardless First Class co-flyer will have languished in the line with the Malia and Magalluf mobs. At least the Fast Tracker will have been spared staring at two of the most bizarre pieces of airport public information yet seen, however. The first, a departures board above the tensa-barrier tedium which flashes insistently with the ever-diminishing amount of, wait for it, shopping time the hapless queuers have left before their flight (hopefully) pushes back. So there they all stand, desperate to evacuate their wallets, gagging to get through the liquids check, panicked by the disappearing minutes of retail opportunity – and then someone, somewhere, part of the management structure that installs the screen and builds the shops, decides that it would be a grand plan to save a couple of quid and only have one scanner and one arch open for the Friday evening of a Bank Holiday weekend. Never mind, the frustrated flyers can forget about the security shambles and dream of their final destination; perhaps one of those referred to on the second wholly ludicrous sign in the area, which helpfully and insistently takes up almost the whole of one wall. Now, call me an old cynic, but according to their network map, and apart from Newcastle, Emirates fly from Dubai to Glasgow, Manchester, Birmingham, Heathrow and Gatwick in the UK. None of these five destinations strike me as ones that I would immediately think of approaching from the North East by way of the Middle East. Indeed, it would seem something of a detour to reach any of Emirates’ 15 other European destinations by way of the Persian Gulf. Come to think of it, Moscow would be a bit of a dog’s leg too. Would it not also be fair to say that the airline’s six North and South American destinations could probably be reached a touch more directly than with a UAE connection? As could the nine North African airports that they serve. In fact, of the actual 101 airports that Emirates’ website shows service to, one is Newcastle itself and therefore hardly a destination. It’s therefore actually exactly 100, not over 100 destinations from Newcastle. Of those, more than a third would only be aimed at from Tyneside, via Dubai, by the most perverse of aeroholics. Meanwhile, timid little BA utterly fails to ensure that its premium passengers can avoid this laughable advert, nor point out to anyone there-present that they currently serve over 150 destinations from London, all of which bar Aberdeen, Edinburgh, Glasgow and Manchester might reasonably, sensibly and logically be connected to from one of their Heathrow-bound Airbii. Logic, marketing and aviation operations are not, it constantly appears, closely acquainted. Ah well, once through the anguish that is belts, jackets and shoes off, laptops and liquids out, and the frantic scrabble to recollect everything and re-robe concluded, it’s something of a worry then to often find that the highly-trained crews charged with piloting their multi-million pound birds through featureless skies, and then planting them safely on narrow strips of unsigned asphalt, are now wandering aimlessly around the departure lounge in a vain and fruitless attempt to locate their departure gates. For again, in a stunning display of amoeba-challenging intelligence, the airport has seen fit to build a duty free shop right slap-bang across the main thoroughfare to those inconvenient appendages to 21st century airports: the aircraft. Not content with constructing this emporium in such a way that it snares the unwary traveller, the architects have excelled themselves in making it such a barrier that it looks as though there is nothing whatsoever on the other side – certainly not the other half of the airport or the route by which to board an aeroplane. Thus it’s of no great surprise that the luckless crews find themselves circling the area before this retail disaster, nor that the airport’s PA system constantly crackles with insistent cries for poor passengers to proceed immediately to the gates they can’t find, to board the aircraft that they’d long since forgotten was the reason for mortgaging their house to park their car, in a space that turned out to be a four-day camel ride from the terminal building, all those long hours ago before they faced the Daleks and were forced to consider travelling to Manchester via Jumeirah. After the ordeal of being sleepless in Sheraton, the cool space of Terminal 5 came as a welcome relief. The only challenge here would be to see whether I could beat the grand total of 90 seconds that it had taken to get through the liberally-policed Fast Track security two days earlier. It didn’t start very well, however, when one of BAA’s customer disservice staff blocked off access to North security and demanded sight of my boarding pass. Seeing that the flight’s departure time was a little way off, she directed me to the other end of the terminal to pass through South security and then, subsequently, tramp all the way back North to a point not a stone’s throw from where I was then standing. Perhaps unsurprisingly, I declined her offer and proceeded straight through the remaining gap, on through the official boarding pass check and then into the security area and the this-time completely unpoliced Fast Track lane. Having taken 105 seconds from one side of the scanners to the other, I pondered exactly what the value of legitimate access to Fast Track might be, if someone in an ill-fitting polo shirt is going to attempt to intimidate me into walking the length of the terminal building, twice, to use a facility that is likely to be full of non-eligible passengers anyway, unchallenged by any kind of meaningful policing. To be very, very clear however, this is BAA at work, not British Airways, though you’d hope that someone at BA would once and for all put a stop to the goonery of their landlord at T5. Thankfully, the new terminal is a fundamentally pleasant place to be. The premium lounges operated by British Airways for their eligible passengers are very nice indeed, though it’s also true to say that they’re not necessarily the best of their type that you’ll find anywhere in the World. However, for the vast majority of travellers, those without shiny cards and travelling further from the front of their aircraft, then Terminal 5 is (beyond security) probably one of the very best airports from which to depart. The shopping and catering options are extensive and hof igh quality. The walking distances are commendably short, and progress is swift so long as lifts are favoured over escalators. There are also plenty of quiet corners in which to sit and relax, away from the hustle of the main passenger flows and commerce. You’ll find them particularly at the Southern end of the terminal, and in the centre where the ground floor stairs lead up to Gordon Ramsay’s Plane Food restaurant. Though some flights are called on the main PA system, it pays to keep an eye on the screens and, when the flight does open for boarding, it’s good to see that gold and silver card holders are invited to board at leisure, with others processed by row number. It makes the whole experience much less stressful. On the jetty, the signs are that we have a good crew and my jacket is taken and hung quickly. With an Easterly wind continuing to blow, it’s a helpfully short taxi onto Runway 09R for an on-time take-off. As soon as we’re airborne and the flight crew signal is heard, the cabin crew are up and busy preparing for service. Catering on this morning flight is tea, coffee, water and juice, and a hot ciabatta roll filled with ham and egg. Although it’s not a feast, it’s a massive improvement in quality and presentation over the previous offering. That suffered from dreadful packaging and unidentifiable content, either from an appearance or taste point of view. Landing was smooth and 10 minutes early, with a short taxi to stand and an immediate disembarkation. The luck continued with a Metro waiting at the airport station platform, and then another waiting train at Newcastle Central for the final leg of the journey. 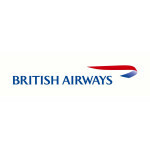 Final verdict for British Airways UK Domestic: 8.5/10. The only real hitch was BAA security at T5, over which BA should have strategic control. Otherwise, T5 was extremely pleasant, boarding was organised properly, the crew were friendly and professional, the catering has been improved slightly and we departed on time and arrived early. For a scheduled one hour ten minute flight, that’s the basics more than achieved. 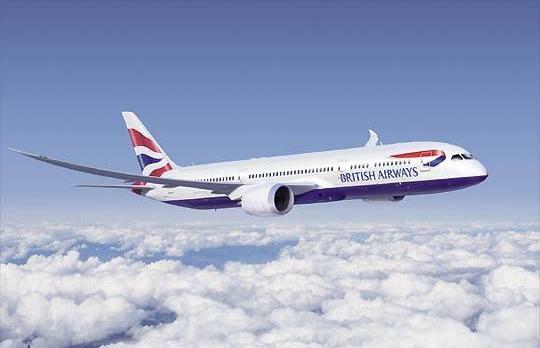 There’s still not enough differentiation, to me, between BA and competing ‘Low Cost’ carriers between London and the North East, but compared to where we were 18 months ago, regularly delayed at Terminal 1, everything has improved enormously – and seems to be continuing to do so.